Celebrate! I finished writing my last final this afternoon, and will be worry free for the next little bit (until I start planning my study schedule for MCAT, sigh)! Vince picked me up from campus, and we headed out to eat before having to head to a staff meeting for work. I've been curious about Nomiya for a while, and heard some good things, so we headed there to grab a quick bite. We got to the little restaurant around 5:00, and it was quite busy according to my standards. I expected there would be maybe 1 or 2 other tables, but the restaurant seemed to have half their tables filled. Good sign, I would say. To start off, I wanted to try out their konbu seaweed salad. I normally love seaweed, and actually make seaweed salads for myself at home when I have to study. It's nutritious and delicious! 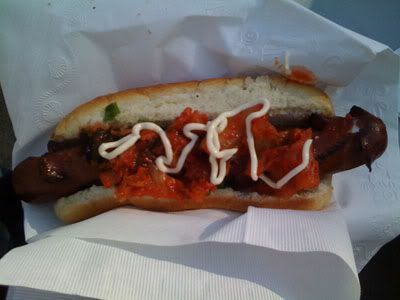 However, this one at Nomiya is the most unappetizing thing I've ever put in my mouth.. No joke. 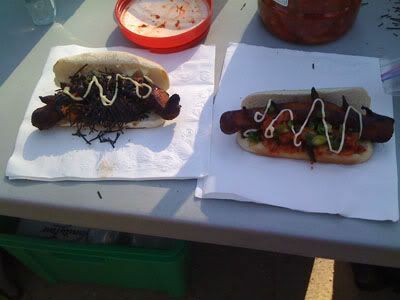 I imagined a typical seaweed salad, where the seaweed has texture and a little bite, and seasoned with a light dressing/vinaigrette. What we got was totally different. The seaweed in the salad was thinly sliced, drowned in a bowl of dressing, and extremely slimy. Felt like I was eating from the bottom of the ocean or something. The texture was very jelly like, and I couldn't stomach it, let alone handle the texture of it. 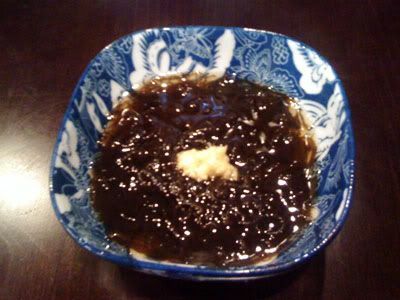 I think it was likely the agar coming from the seaweed that was thickening the salad and dressing. The flavour of the dressing was great though. It was soy sauce, vinegar, and ginger based dressing which tasted good. Just everything mixed into it was gross for me. My palate was pretty excited to see my steaming bowl of ramen placed in front of me after being scarred by the salad. 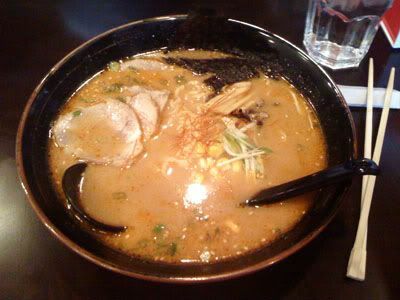 I ordered the spicy miso ramen, which is more expensive than the regular miso ramen. I wonder what accounts for the price difference? I'll probably have to check that out next time. The ramen noodles had a nice texture, and were cooked perfectly. The broth wasn't overly salty, and had a little bit of spicyness, but not enough for me to have to grab and chug my glass of water. The weirdest thing about it was the corn in the soup. Is that normally what they put in ramen? All the ramen I've ever had didn't have it. It is unique, and will probably make you feel a little bit fuller if you eat all of the little kernels! The noodles came with Chinese cha siew (BBQ pork), seaweed pieces, black fungus, and garnished with green onions. I enjoyed this menu offering and would definitely recommend it. The ramen was supposed to be served with kirrage fungus, spinach, minced pork green onins, and peanuts. But when it arrived, it just looked like a plain bowl of ramen. Digging around in the bowl, them meat was found, but the fungus and spinach seemed to had vanished from his meal. When we tried out the soup, it wasn't fantastic, and I wasn't a big fan of the way the flavours were presenting themselves. Vince wasn't too big of a fan either, but that could just be how the flavours taste on our palate. 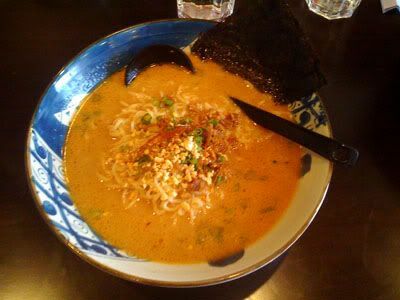 What's working really well for this restaurant is the texture of their ramen noodles, and they way that they cook them. What I wasn't too impressed with was the thick layer of oil atop of the soup, all shiny and gleaming due to the lighting above us. I can understand some oil being in the soup from the cooking process, but such a thick layer is not a good sign, especially when there are many people out there sensitive to fats in their foods. I have heard that people get the runs after eating at this restaurant (at least 2 of my friends already), and it's likely due to the oil in the broth. Vince had a pretty bad stomach ache after eating here, cause he likes to drink the soup, but I was okay. I've got OPI Sweet Memories on my nails this week, from their Soft Shades collection. 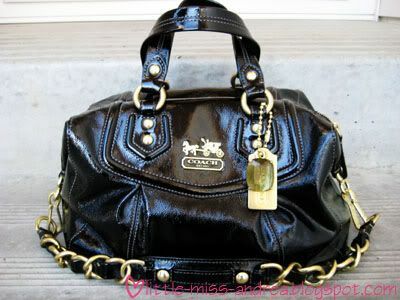 I remember my aunt gifting this to me maybe 6 years back? It's crazy how time flies by so quickly! It's just about summer time for me. My last final (microbiology!) is on Wednesday. I can't wait til that exam is done! First off, happy birthday to my boy! Today, my family and I took him out for some Vietnamese/Thai food to celebrate his birthday, and just to get us out of the house away from the books for a couple hours. A while back, we had purchased a deal from DealFind here in Edmonton, and we were really curious to try this place out. 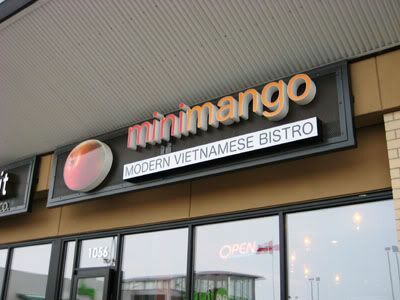 Mini Mango is the little sister to Sweet Mango on Whyte Ave. I had gone there about 2 years back with Phil, but I didn't find anything too special about it. After hearing a friend rave about Mini Mango, I knew I had to see what the fuss is all about! When we arrived, I hadn't imagined the restaurant to be so small! I knew that it was more of a take-out & self serve restaurant, but I expected it to be able to seat more people. There were approximately 6 small tables, allowing the restaurant to seat a maximum of about 20 people I would say. This restaurant here runs along the same principles as Famoso. 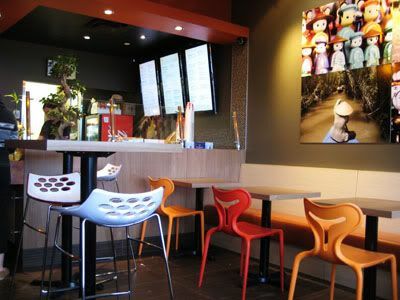 Decide what you want to eat, and head up to the front to order & pay for your meal. If you're planning on dining in, you take a seat, and the hostess will bring the meal to your table. We had $60 to spend, so we decided to try out the pho, pad thai, mango salad, vermicelli bowl & tom yum soup. 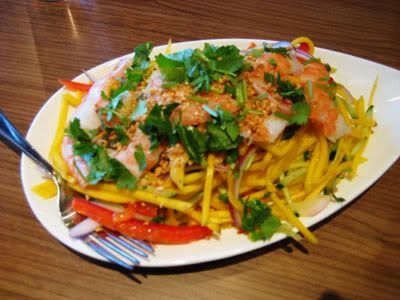 The mango salad ($8.95) was really interesting. It was a combination of sweet and savoury, but I would say that it was more on the sweet side, due to the naturally sweet mango. I was hoping it would mimick that of a papaya salad, so my hopes were a little crushed. Expectations aside, it wasn't a bad dish, but I won't be ordering it again in the future. 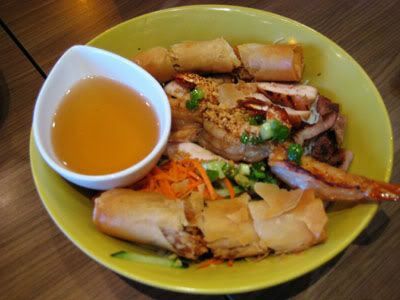 Next up was the 5 meat combo vermicelli bowl ($10.95). This bowl was massive, and greatly exceeded my expectations. A generous helping of vermicelli rested upon shredded lettuce, cucumbers and bean sprouts, and was topped with a bounty of perfectly cooked Asian style meats. Their spring rolls were fantastic, cooked in clean oil, resulting in a beautiful presentation. To decide whether a restaurant is deemed good or not, I almost always have to sample their pho. 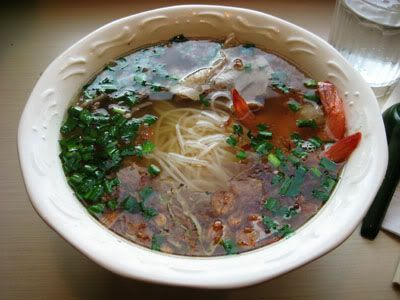 Pho is such an iconic Vietnamese dish. If you can't do it right, something is definitely wrong. I went with the beef ball pho, and forgot to request no cilantro! It was sad, but I acted fast and removed all the little pieces out before it was able to seep into my soup. The broth itself wasn't bad, but it was lacking depth and certain flavours that I find in the broth at my favourite restaurant Basil Leaf. For such a large bowl, the proportion of noodles was small. But factoring in the price, $6.95, it makes sense that there wasn't much in the bowl in comparison to the average pho price nowadays, at $8.00. 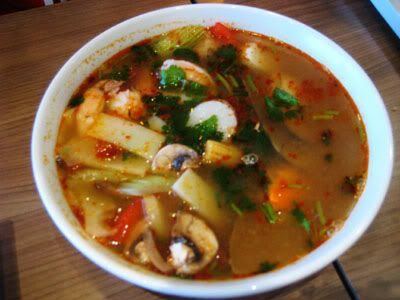 Last but not least, the tom yum see fuut ($11.95) arrived at our table. Looking at the broth, the colour wasn't the typical deep red colour I'm used to seeing at Thai restaurants. The colour was an easy indication of what was to come, and was confirmed upon the first taste of the soup. It was a bit disappointing, and unfortunately bland. It didn't have the punch of flavour I was looking for, and wasn't sour or spicy enough. But in their favour, there was lots of seafood inside the bowl, which kept my parents happy and distracted from the lack of flavour. One thing I really admire about this restaurant is their dedication to keeping their vegetarian options purely vegetarian. No sneaky seasonings, and definitely no use of fish sauce (which many people think is actually vegetarian!) Countless times, I've gone to a Vietnamese restaurant, and they are so baffled when it comes to serving a vegetarian customer. So kudos to them for being so conscious of their customer population! This little restaurant doesn't take reservations, so I would recommend heading there for a meal before/after the dinner rush, since there is limited seating. The restaurant is clean, and a respectable establishment, and I know they will grow and expand as the Ellerslie area develops. Was it a good meal overall? Yes. 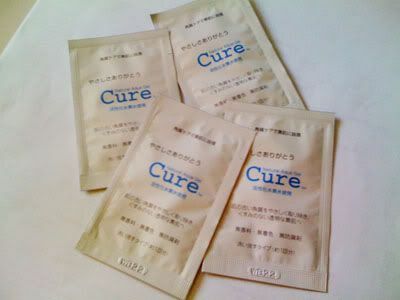 Will I come here again? 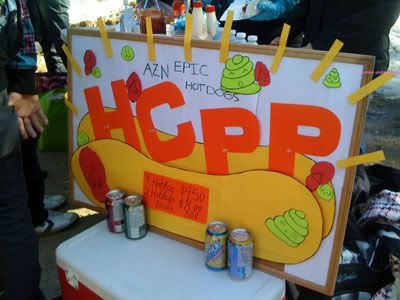 Yes, and next time, I'm gonna try their take on Banh Mi! 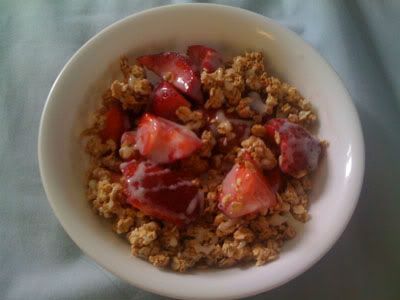 I ended up cutting some strawberries, mixing it with granola, and adding a light drizzle of condensed milk overtop (okay maybe I don't have the lightest hand..). Best thing I've eaten for breakfast at home. Ever. 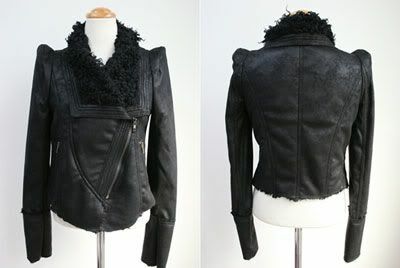 I am so serious about this, I'm obsessed! I think I'll be eating this for as long as I can get my hands on strawberries! My parents came home with a bounty of goodies. Five large suitcases stuffed to the brim with goodies for themselves, and of course for me & my sister. 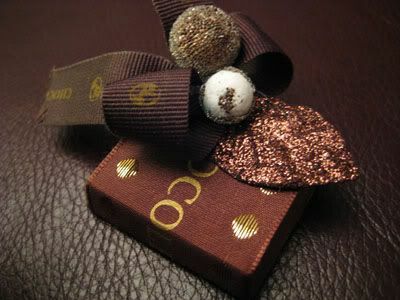 I am a huge fan of chocolate and desserts - I don't know what life would be like without them. Probably really sad, and I mean that. 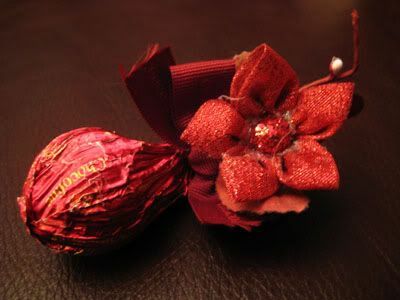 One of the things my parents brought home were these beautifully wrapped chocolates. 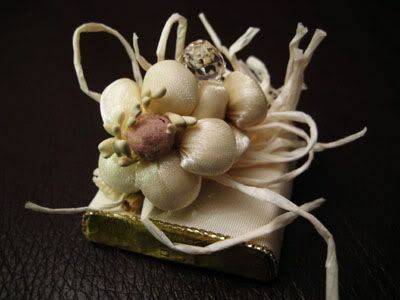 They're so beautifully decorated on the outside, that I don't even want to eat them! These run at about $5 CAD per piece. Too nice to eat if you ask me! But if the craving is strong enough... I might just have to pry the wrappers open, just a little :). So, yet another embarassing confession to make regarding my university life: I have never made my way over to Dewey's, or the RATT (Room At The Top). Sad, I know, but hey, I'm still in my undergrad years, and taking it slow, haha. In order to celebrate the last day of classes for our third year, Lisa, Patrick, Evan & I headed up to RATT (Pat is a veteran) for lunch. It was evident that we weren't the only bright students with the idea, because the elevator was packed with students to the point where I felt like a little sardine. Luckily, we were part of the first bunch of people up to the bar/lounge. This place is a gem! Without visiting this place, I never would have known the U of A has such an amazing view of the city. 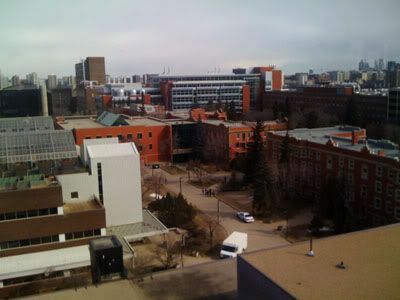 RATT occupies the 7th floor of the Students' Union Building, and literally has a 360 degree, birds eye view of the city. Floor to ceiling tinted windows are the walls of this bar, providing a beautiful, but slightly obstructed view of our province's capital city. Luckily it was a bright sunny day, so we were able to see far off into the distance. Lisa and I were able to spot WEM, the Telus World of Science, and Daryl Katz's house (thanks to Patrick, haha). On a side note, the buildings on campus look so different from above! 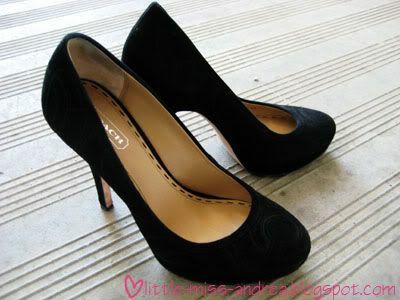 For me, it really made me realize that things can be completely different depending on the perspective taken. 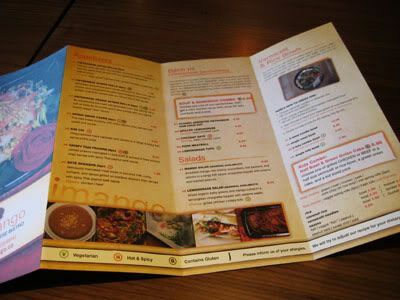 They have a relatively large menu for a restaurant of their size, which includes many vegetarian options. I opted for the Thai chicken wrap, which was served with a side of fries for $7.50 (GST incl), and the price is great for your average university student. I wanted to try their sweet potato fries though, and the substitution costed me an extra $2. Despite the awesome price, the wrap didn't quite live up to my expectations. The sauce for the wrap was far too sweet for my liking, and there was so much sauce that it went everywhere. 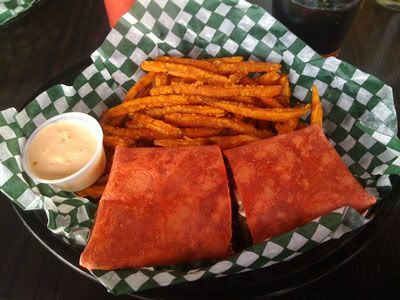 My little basket was flooded with sauce, and my hands were so sticky, I could only bring myself to eat half of the wrap. Now the fries on the other hand were delicious. They were crisp, seasoned well, and the garlic mayo dressing was the best I have ever had. Guess I should stay away from saucy wraps the next time I'm up there! The fun's over now. Time to buckle down and study for finals! 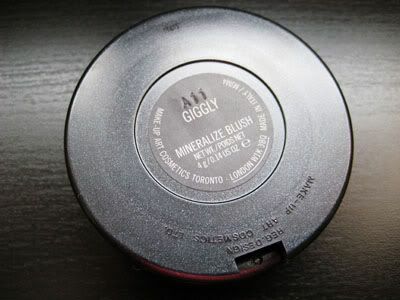 I picked up one of the three blushes in 'Giggly', which is a fuschia pink mineralized blush, with a purple heart gracing it's centre. 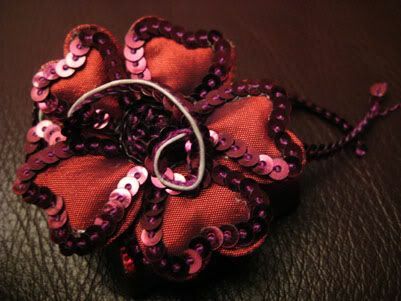 After a couple swatches, the heart is still there, and it seems like there's quite a thick layer of it embedded in the blush, so the heart isn't going anywhere. It applies on cheeks with a frosty sheen, as mineralize blushes do, but it's not as pigmented as I hoped it would be. The colour does show up on my face, but I am quite fair skinned, so girls with darker skin, this might not work out so well for you :( Sakura (a purple blush) from the collection seems to be a bit darker, so that may be another option. I skipped out on sakura since it reminded me of Overdyed from the Jeanius collection when I swatched it. 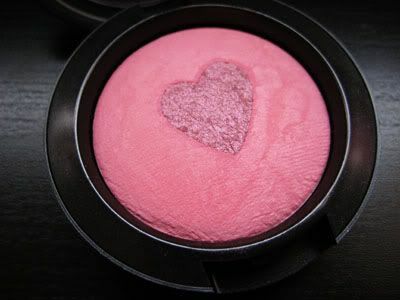 As for now, I can't bring myself to use this blush too much, I'm scared I'm going to distort the shape of the heart! 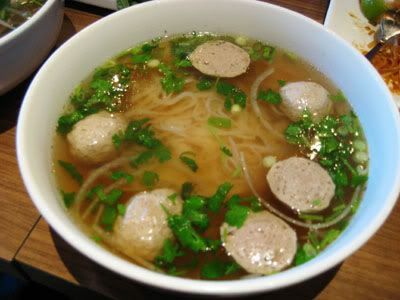 I ordered pho as per usual, but I got it with beef & beef balls since tripe was not an option. The bowl was massive - I was so worried I wouldn't be able to finish it at all! One item ordered for the table was the caterpillar roll - it's so cute! 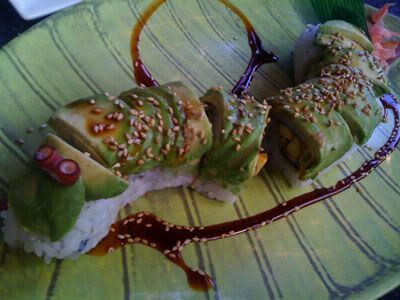 Coated in avocado strips on the outside to mimick the colour of a caterpillar, with squid pieces as eyes, the roll was filled with barbequed eel and other veggies. Surprisingly, I didn't mind the eel and found the roll to be both cute & tasty. 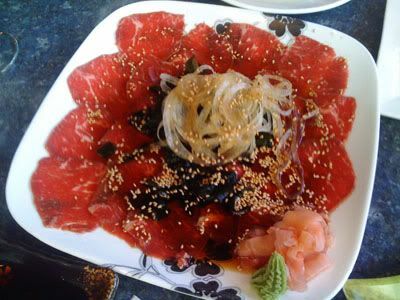 Now, drumroll for my new favourite... beef sashimi!! I didn't know something like this existed! It's basically the same thing as beef tataki, but the beef is not cooked at all. Beef tataki usually has the edges of the beef seared, so theres a little bit of cooking required. Vince's brother said he usually eats it like this, and I found it to be way more satisfying than beef tataki. Yup, I'll eat raw beef, but not raw fish! Raw seafood is too slimy. All in all, it was a solid meal. Who would've thought that pairing Japanese with Vietnamese cuisine would be so delicious? Ingenious. Tonight, Vince & I were headed to see Serenade & Vigil of Angels put on by the Alberta Ballet. The performances were beautiful as always! George Balanchine's choreography was my favourite of the two, however, because the dark-themed sets in Vigil of Angels made me very sleepy, hah. Also! 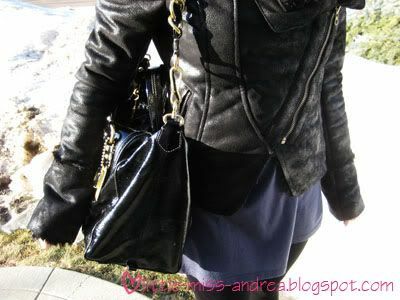 I picked up this baby today from Coach - the Kristin elevated leather crossbody. 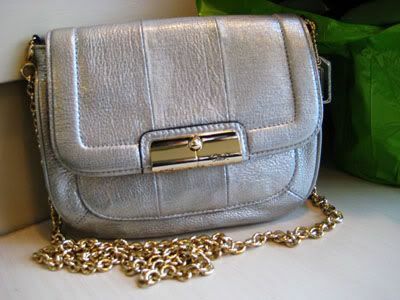 I love the light gold colour of the chain, and the silver leather is just so pretty and soft! After having a bunch of my coworkers quit where I'm working right now, we felt we needed to get together for dinner before the craziness of exams hit us. 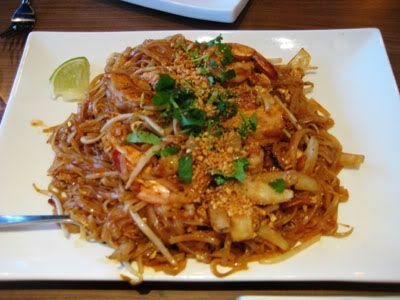 We went out to Boualouang (read about my first visit here) for some delicious Thai. 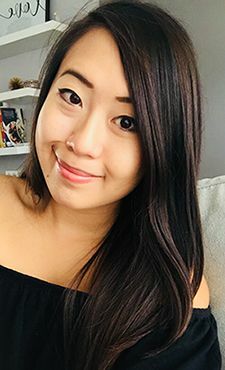 We weren't able to all get together for dinner though, because Edmonton's potholes ruined Jobin's tire, causing her & Claire to head home instead :( Seriously, theres MASSIVE potholes out there due to our crazy freeze/thaw cycle. The food was fantastic, however, but my favourite of the night had to be the dessert! 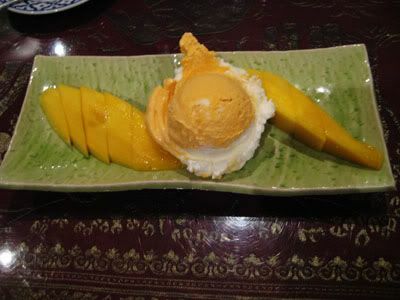 Fresh mango on sticky rice, served with vanilla ice cream. The combination of the warm rice and cold ice cream is just perfect when adding in the soft, sweet mango.. too good to pass up! 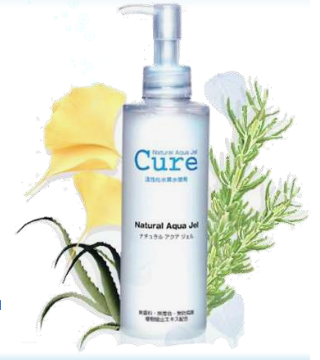 I highly recommend having this the next time you go!